What does West Oaks offer you? West Oaks offers you financial security and peace of mind. Your cost of meals, housing, housekeeping and support services are all included. Live life in a peaceful and intimate environment - there are only seven 1 and 2 bedroom apartments, situated on seven hill country acres, half of which is wooded. Our resident manager is on site and our emergency call system is monitored 24/7 for your safety and convenience. In addition, West Oaks offers you independence and freedom. You live life and we handle all repairs and maintenance. Bi-weekly housecleaning gives you freedom. Enjoy the small town pace of Lampasas which allows you to remain a comfortable and competent driver at an older age, preserving your independent lifestyle. And finally, West Oaks offers you community and continuity of lifestyle. You can entertain in your private, personalized apartment, central recreation facility or outdoor areas. Enjoy being engaged and feeling connected. Dine with new friends! Meals are healthy and nutritious and served in our community dining center - they can be delivered if you choose. Bring your small cats and dogs - they are welcomed and will be loved! 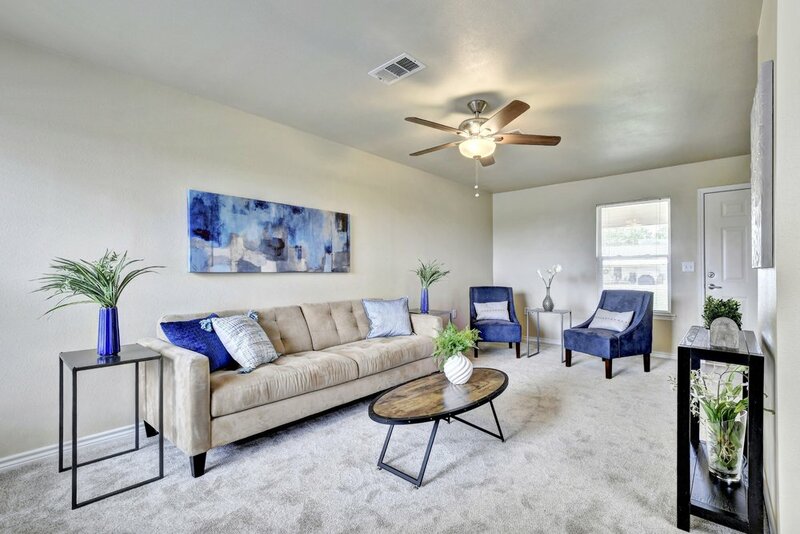 West Oaks offers both 1 and 2 bedroom floorplans with low pile carpet to prevent falls. A community dining room brings the residents together for two meals per day. Meals can be delivered, if necessary. There is a laundry room in each building and each apartment is wheelchair accessible. See PHOTOS section for more pictures.